Oakdale Grade School believes that all students should acquire skills and knowledge which will equip them to become well-adjusted, self-sufficient and contributing members of a democratic society. The school's function is to provide learning experiences that enable students to understand and value the importance of life long learning within and beyond the school. Oakdale Grade School believes that opportunities are provided for students to explore and expand individual talents and potential in a safe, stimulating environment which will enable each student to reach his maximum intellectual, emotional, moral, social, and physical growth and development. Oakdale Grade School believes that the Illinois Learning Standards defines what Illinois citizens believe all students should know and be able to do as a result of their public schooling. Academic and Athletic Awards: This year's presentation of Academic and Athletic Awards has been scheduled for Friday, May 17th, at 2:00 pm, during the school day. If you have any questions, please contact the school! 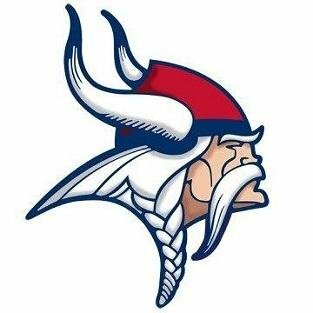 ​Oakdale Grade School has created the "Viking Council". This is like a student council that any student in grade 5-8 may join. The focus of the Viking Council is to make Oakdale Grade School a better place to learn, make friends, and have fun! Viking Council meets once a week to decide what activities will be planned. Members of Viking Council will help younger kids know about the negative effects of bullying, by putting on skits or reading books to them. Other ideas include a tutoring program, school improvement, and helping out in the community. The 5th-8th grade students in Viking Council learn how to deal with bullies and what to do if someone is getting bullied. Oakdale Grade School was the recipient of a $500 grant offered by Tri-County Electric. This money will go towards Viking Council activities. Viking Council invites everyone to wear bright colored clothes on Monday, March 18th in hope that Spring weather will be coming soon!! !